Robert Maynard - Kitware, Inc.
Robert Maynard is a principal engineer who joined Kitware in 2010. He currently manages the release process for CMake. His efforts have helped to implement support for the CUDA language, improve support for OBJECT targets, enhance user documentation, and add support for MSVC and Intel compiler feature detection in CMake. 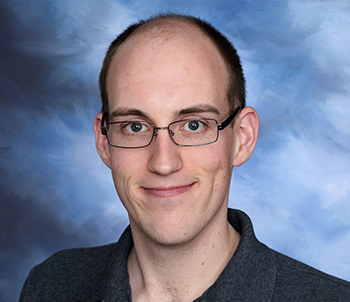 Robert is also a primary developer of VTK-m. His work on the open source toolkit focuses on finely-threaded visualization algorithms that run on GPUs and other accelerators. Along with VTK-m, Robert has contributed to numerous projects such as ParaView, the Visualization Toolkit (VTK), and Computational Model Builder (CMB). Robert received his B.S. in computer science from Laurentian University. In his free time, he is an avid curler. He plays out of a club in Upstate New York. B. Lessley, R. Binyahib, R. Maynard, and H. Childs, "External Facelist Calculation with Data-Parallel Primitives," in Proceedings of the Eurographics Symposium on Parallel Graphics and Visualization, 2016. K. Martin and B. Hoffman, Mastering CMake: a cross-platform build system. Kitware Inc, 2015.